Sarah Nader - snader@shawmedia.com McHenry's goalkeeper Jake King warms up during soccer practice at McHenry West High School Monday, August. 15, 2016. 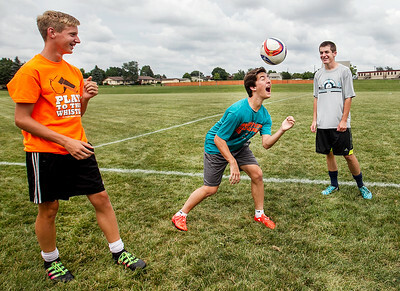 Sarah Nader - snader@shawmedia.com McHenry's Zack Morris (center) heads the ball while warming up with his teammates during soccer practice at McHenry West High School Monday, August. 15, 2016. 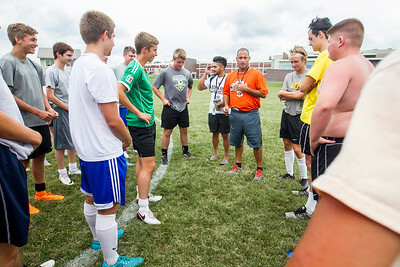 Sarah Nader - snader@shawmedia.com Coach Tony Caruso (center) talks with the McHenry soccer team during soccer practice at McHenry West High School Monday, August. 15, 2016. 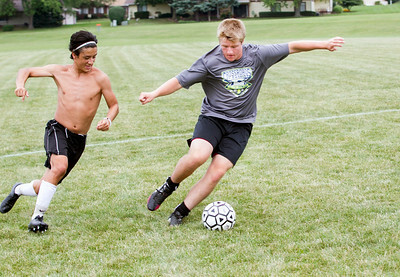 Sarah Nader - snader@shawmedia.com McHenry's Alex Lee (right) dribbles the ball during soccer practice at McHenry West High School Monday, August. 15, 2016. 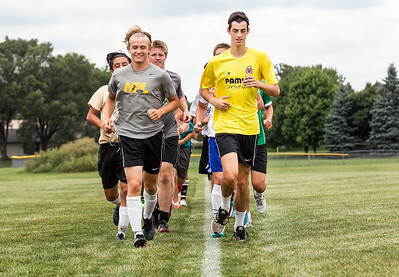 Sarah Nader - snader@shawmedia.com McHenry's James Mulhall (left) and Jake King lead the soccer team around the field while warming up during soccer practice at McHenry West High School Monday, August. 15, 2016. 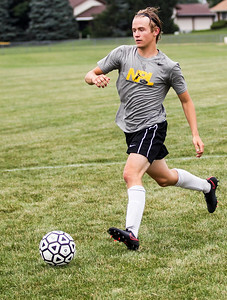 Sarah Nader - snader@shawmedia.com McHenry's James Mulhall kicks the ball down field during soccer practice at McHenry West High School Monday, August. 15, 2016.